A couple of days ago, two new songs (or what seemed like such), ‘Sisi Nene’ and ‘Baddest Boy’, both by Wizkid, found their way onto the internet. Well, it turns out one of the songs which everyone thought was a new single by Wizkid was actually an incomplete version of an EME all-stars track. ‘Baddest Boy’ is the first official single from the upcoming The Empire Mates State of Mind album by the EME all-stars. 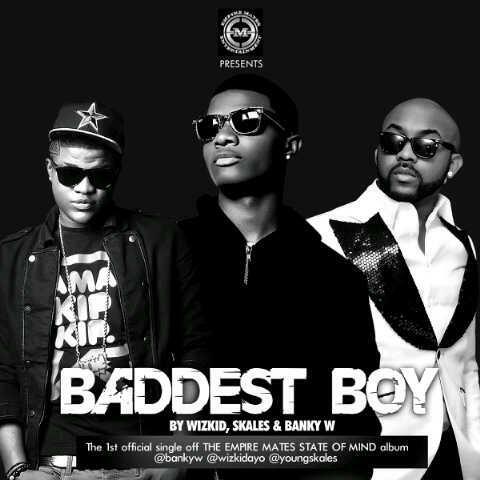 The complete version features Mr Capable himself, Banky W, as well as an updated verse from Skales. No major details about the album have been released, but if Baddest Boy is anything to go by, it’s safe to say in no equivocal terms, we can expect some serious jams.